At the Web Presence Group, Pay Per Click (PPC) advertising is a core component of our website marketing services. Our team of PPC specialists is highly-trained in the fine art of campaign development and ongoing PPC management. We stay abreast the latest trends and innovations in paid search advertising, and apply only best practices techniques to provide highly professional Pay Per Click advertising services. Unlike SEO and website optimization, PPC advertising is unique form of search engine marketing that requires a well-planned approach. At WPG, out team of PPC advertising specialists will listen to your online advertising objectives and help make them happen. Our experts will take the time to analyze your overall web presence, target market, paid search goals, and PPC advertising budget. After our analysis, we can then assess and determine the best course of action in developing your PPC campaigns. If you already have an existing paid search account, our PPC specialists can suggest proven strategies for PPC optimization and ongoing improvements. Our PPC advertising team can put together a cost-effective paid search package to best meet your online advertising objectives. We also offer local and organic SEO services, website optimization, as well as mobile marketing expertise. Our comprehensive website optimization services are designed to enhance your search visibility through a number of powerful mediums. Contact us to learn more. PPC campaign management services are essential to ensure that your paid search investment is providing goal-oriented returns. We have a solid team of paid search specialists with significant training and expertise in Google AdWords, Analytics, and PPC campaign management. Our Pay Per Click specialists can make sure that you’re a strong contender in paid search advertising. A powerful sub-set to our PPC expertise is banner and display advertising. We offer a wealth of resources to design creative visual advertisements and implementing them to Google’s Display Network (GDN). Our graphic designers work directly with our paid search team to compile effective ads that drive profitable click through rates. Additionally, our PPC professionals are able manage exactly which sites your ads get triggered and how much each click may cost. Local PPC services are becoming a powerful tool for many online advertisers. And with the growth of Google Places and mobile-based search, the opportunities for local online promotion are even more immense. Our PPC experts can create local paid search campaigns designed for both PC and mobile-based searchers. We can also improve your listings with features like Google AdWords Express, which ties together your Google Places page and PPC ads for enhanced ad exposure. A PPC campaign can always be improved. Whether through bid management techniques, developing more market specific ad groups, or testing multiple PPC ads and landing pages, the opportunities for PPC optimization are vast. We offer services in both PPC campaign and landing page optimization to better enhance your search performance and profitability. The result is typically better quality scores, lower bid prices, and more conversions. Is Pay Per Click Advertising is Right For You? Pay Per Click advertising is not for everyone, and not all consumer markets are oriented for search engines. Our PPC specialists are happy to help you determine if PPC advertising services are right for you and your website optimization needs. In some cases, organic search engine optimization or mobile-based marketing may deem more appropriate. 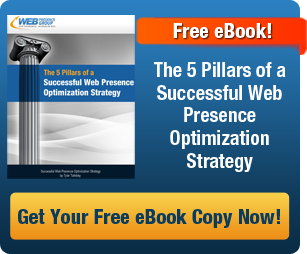 We can help you discover the right approach in achieving the optimum web presence.